Rachel Roizen – A site about data science, marketing, digital strategy, and life. A site about data science, marketing, digital strategy, and life. Ikea realized that consumers were coming in to shop in the morning, feeling overwhelmed, leaving for lunch, and not returning. So the company smartly added restaurants to the stores. The restaurants convince people to stay through meals and act as a loss-leader to promote the affordability, yet quality, of Ikea – all while advertising Ikea furniture. And Ikea is happy to have customers come in to eat while not purchasing anything – because the brand loyalty that’s being built means many will return when they are in need of furniture or decor. Innocent Drinks, a UK company owned by Coca-Cola, took bottled smoothies to the mass market – but faced the challenge of how to sell more smoothies in the winter months. The answer? Individually knitted mini-hats. 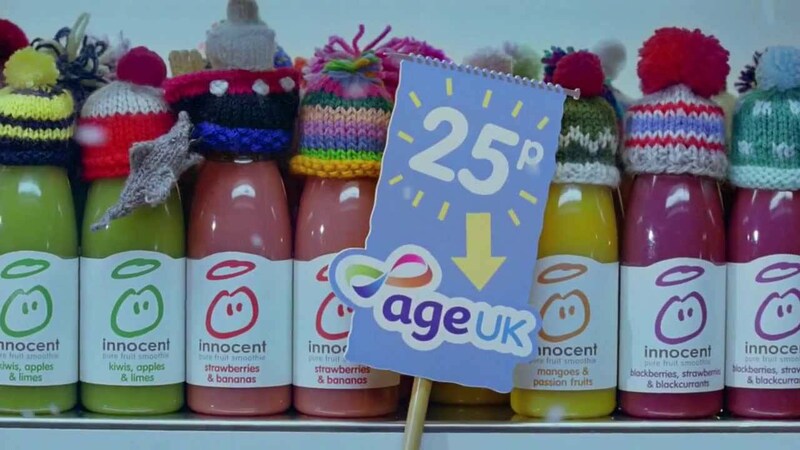 Using a charitable angle (25 p of each bottle sold wearing a knit hat goes to Age UK) Innocent built an army of knitters (both customers and non-customers) who bought their own materials, spent time knitting hats for bottles, and sent them in to the company. The result? It doesn’t cost the company much, engages customers, supports charity and builds positive buzz, and looks great on shelves which leads to increased sales. Apple’s “Get A Mac” campaign portrayed the Mac as trendy and next-generation while portraying the PC as nerdy and outdated. The aspect of brilliance about this campaign is that it played on the fact that consumers consider “PC” to be synonymous with Windows even though it simply stands for “personal computer” which includes Macs. This shielded Apple from any lawsuits while getting the company’s intended message across. Hello Kitty has been a monumental branding success for parent company Sanrio – maintaining enduring appeal and popularity for over 40 years. Sanrio originally focused on manufacturing products for sale in its own retail stores – but with such small margins their financial condition was worsening. 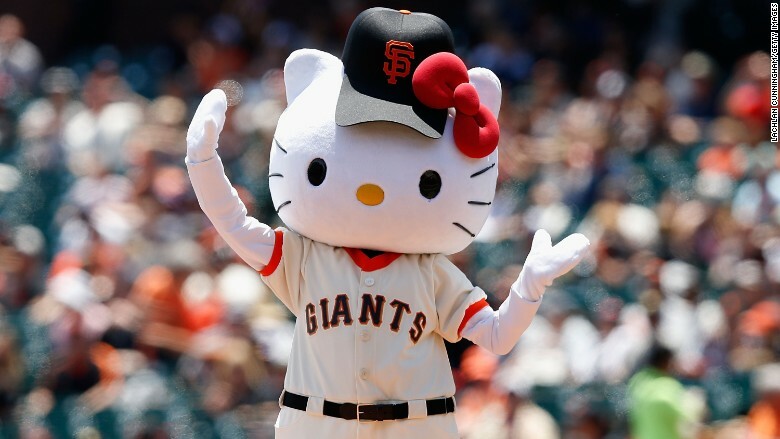 Thanks to new management in 2008 the company began aggressively licensing Hello Kitty – with massive results. Hello Kitty can now be found on almost anything imaginable – including laptop cases, jewelry, cell phone covers, toasters, airplanes, and even toilet seat covers. Sanrio keeps strict quality control over the brand, but significantly limits their downside risk while raking in massive royalties. For Westerners who shop at a BJs or Costco, buying hygiene products like shampoo in mass quantities is a no-brainer because it’s cheaper. But counterintuitively, low-income consumers in Asia are more likely to buy in small, more expensive quantities. This is because workers are paid weekly, and budget their spending based on only what is needed weekly too. 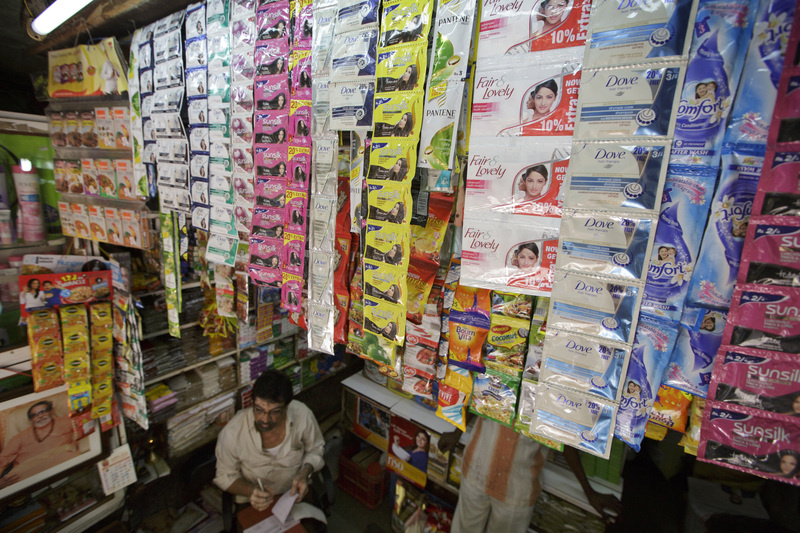 CavinKare, and Indian conglomerate founded in 1983 first introduced Chik Shampoo to the market in sachets (single use packages). Today, 80% of shampoo sold by Colgate, Procter & Gamble, and Unilever in the Philippines is sold in single-use sachets. Old Spice has been around forever, and by the 2000’s its image was associated with an old man who was loyal to an old brand and not appealing to younger generations. This drastically changed in 2010 with a new advertising campaign, “Smell like a man, man”. The ads, and interactive digital campaign, featured actor Isaiah Mustafa. The campaign turned the brands weakness into a strength, positioning Old Spice as ‘experienced’ and an ‘an expert on masculinity and being a man’. This was followed by the Response Campaign, where the Old Spice man would respond to fans’ social media messages via video messages on YouTube. The campaign led to sales going up 125% year on year, and by the end of 2010 Old Spice was the number one selling men’s body wash in the US. What Does It Cost To Buy A Home In Your Area? We all know that buying a house is a huge financial commitment – especially if you want to be near a hot city. But when you’re considering moving on from renting do you know how much it’ll actually cost to buy in your area? Statistically, what should you pay for a 2 bedroom vs. a 3 bedroom? And if you were one zip code over, would your options expand dramatically? The average cost to buy a property in Cambridge is $1.34 million. But in the northern Cambridge zip of 02140 (near Alewife) the average cost is currently $885,000. In the Harvard area of 02138 and the Kendall Square area of 02142 the average property on the market runs highest – at $1.84 million and $1.87 million respectively. The average price per square foot in Cambridge is $681. Down by Kendall Square is the most expensive at $1,094, while the area by Central Square is most affordable at $618. The average home on the market in Cambridge costs $1.3 million. How Does The Number Of Bedrooms Affect The Price? Up next: how are housing prices affected by going ten miles outside of the city? What about 20? Which areas right outside of the city can you really get the most for your money? Leave a comment if you want to see your city featured! Author RachelPosted on November 29, 2016 November 29, 2016 Categories Data science, UncategorizedLeave a comment on What Does It Cost To Buy A Home In Your Area? Video is a vital channel for communicating to prospects and customers online. Whether to promote a brand, distribute educational content, or explain more complicated services and features video has become a mainstream platform for engaging your core audience. According to Cisco, consumer video will equate to 80% of all consumer Internet traffic in 2019, an increase from 64% in 2014. Borrell Associates predicts that online video production will represent one-third of all online advertising budgets within the next five years. And for good reason – Liveclicker, an eCommerce platform provider, reported a 4% uplift in product sales when products were supported by video, even if customers did not watch the clips; this rose to 20% for completely watched videos. Ariat: US equestrian footwear and apparel retailer Ariat includes embedded videos within most product pages on its website. Web visits where prospects view a video yield conversion rates that are more than twice the rate of visits where they do not view a video. AT&T: AT&T uses personalized videos to reduce billing-related calls among new subscribers and to increase customer satisfaction, and this has resulted in a significantly lower call-in rate, higher NPS, and a tenfold return on investment. Barclays Bank: Compared with Barclays’ regular emails about lending, the bank’s personalized video emails had a 106% increase in email open rates and a 1,100% uplift in clickthrough rates, producing hundreds of new loans. Cadbury: The chocolate brand ran a cross-media campaign using TV ads, online ads, and YouTube promoted videos. Online video advertising had 4 times the ROI of TV advertising with online generating 20% of the sales despite only having 7% of the campaign’s budget. Luxy Hair: This hair extensions company created a seven-figure business using only YouTube marketing. The brand set out to educate girls on hair by producing weekly videos and now has over 2.9 million subscribers to their channel. Stacks and Stacks: Home organization e-tailer Stackandstacks.com reports that a consumer who views an online video associated with a product is 144% more likely to add the product to their cart. Has your company used online video with great (or terrible) results? Let me know in the comments! Public pension plans are, on average, 75 % funded. In short, this means they have the money to pay 3/4 of current liabilities (workers retirement benefits). While we aren’t in a recession anymore, we’re still not completely out of the water, and these plans took hard hits in 08-09. On top of this, the baby boomer generation is at retirement age, bringing a huge population counting on being able to cash in on their benefits. Public plans need to see returns on their investments, and these returns need to be higher than forecasted equity returns, and certainly higher than forecasted fixed income returns. According to a study by Bradley Jones, a macro investment strategist at Deutsche Bank, “stocks and bonds are set to return 2.1% and negative 0.3% respectively over the next decade. Under that scenario a 60/40 portfolio will deliver annual returns of only 1.1% over the next 10 years, well short of the 7% to 8% return targets of most pension plans”. It would be an understatement to say that public pension plans are in a tough position. This comes down to the popular phrase, “don’t lay all your eggs in one basket”. Public plans may take a loss when putting money into Private Equity or Hedge Funds, but they can’t rely on traditional asset allocation anymore. Yes, alternatives bring risk – but I’d argue that keeping the entire plan in standard buckets brings even more risk. The top ten public plans (measured by assets under management) all have money in alternatives. Generally, smaller plans follow once bigger plans have dipped their feet in the water. Smaller plans have less money to work with, and will wait until bigger plans have vetted money managers and done the necessary research. As of 09/30/2011, the ten biggest plans have ranges of 9 – 30 % of assets in alternatives, and that number has been growing steadily. All Data and information is the property of Pensions & Investments (P&I) and others and is protected by copyright and other intellectual property laws. All rights are reserved by P&I. The Data may not be resold, republished, redistributed, sublicensed or publicly displayed on a Web site without the permission of P&I. With more investment professionals and money management firms than ever before, competition is fierce; which can be a good thing for public plans. Investment firms now have the technology and the resources to get incredibly in depth data (this data also happens to be extremely complex and difficult to comprehend) but they are also now tasked with the fiduciary obligation to be more available to their clients. When looking into alternatives, public plans can now perform the due diligence to hire the firms with the strongest proprietary research who are willing to be strategic advisors and partner with the plan as they begin to explore their options. The CIO of SWIB (the 8th largest public plan) recently stated “Part of the reason we chose the manager was not just for the product but because of the depth of resources and talent at the investment manager that we will have access to,” says CIO Gary Bruebaker. “I call it noninvestment alpha.” The investment firms that will be strong in the future of the alternatives market will be those that are willing to guide public plans through their options and explain how they are deriving their models – not simply those that deliver alpha on paper. With the gap between public plans assets and liabilities growing wider every day, it’s time for the conventional world of public plans to think outside of traditional investment vehicles. While staying risk averse is critical, it’s essential for public plans to get creative if they want to keep their commitments to retirees. What is the problem that your idea or product is fixing? Who would use it? How big is your potential consumer base? Write these down – they define your brand. The more hard facts you can include, the better. You’ll need these pre-prepared answers during interviews in order to come across seriously. Next you’ll need to focus on your target audience. Where do they congregate? If you’re marketing a new medical device, do your research on where medical trade shows are taking place, where the largest conferences are, and which hospitals or doctors offices might have an interest. Where do they shop? Is your product or idea meant to find in a store like Saks or a store like Sears? Are you trying to get a new skateboard brand into the local hipster store, or are you trying to a high tech scale into Brookstone? Where are your cross sells? If you’re marketing a new prototype for tennis racquets, do some research on other things that people who play tennis do or like. Maybe 70% of tennis players also play golf and you should be marketing in the country clubs pro shop, not just the local tennis store. Now it’s time to turn your attention to who will get your story out. Anticipating basic questions and having clear, thoughtful answers ready. Being available at convenient times for the interviewers and responding quickly to requests. Being excited and knowledgeable about your idea/product. No one wants to write a piece on someone negative (remember, they’re taking your words and then writing their article so you don’t want to come across as having a bad attitude or not being passionate – the interviewers are the middleman between you and your potential customer base). In terms of the publications, websites, or shows that you’re marketing to, dream big, but do not overlook small. Yes, I know you want your revolutionary face cream featured in Vogue, and you should have so much faith in your product that you think it will be in Vogue and used by all of the celebrities someday. Unfortunately, your amazing face cream will need to be marketed in the local beauty shop and written about by your friend’s blog to gain an initial following. Don’t get discouraged, and don’t turn down an interview with the community college’s newspaper. The pimply kid they send might not look very helpful, but for all you know his adoring mother is head of branding and product development at Sephora. Give shout outs to people or companies that have helped you along the way. For one thing it’s good karma. Also, that computer guy who helped with your website is much more likely to help when you crash your site, not to mention the fact that he’ll probably mention you in the future. The more love you give, the more you’ll receive – and since everything is viral and “liked” or “re-tweeted” this is an easy way to grow your exposure exponentially. Give shout outs to people or companies that you look up to. It may seem like a stretch to get your entrepreneurial hero to take notice of your idea or product, but the best way to try is by talking about them or their company. Once again, everything is viral, and you never know who might read about you in a blog or see you in a YouTube video. Also, by mentioning them you have a chance of popping up on their Google Alerts. Give away some swag. Everyone likes free stuff, especially items they’ll actually use. Don’t get whistles or letter openers with your logo, get quality t shirts and reusable water bottles. Target it to your audience where you can – if you make a product targeted to young women, get your logo on a nice pocket sized mirror girls can throw in their purse. It’s also great to give people something that is an immediate need. This means having umbrellas with your logo and standing outside the train station when it rains, or going to a music festival with logo-ed blankets for people to lie on in the grass. This way your getting your brand out there, and also creating positive brand recognition. If you’re going to go on a media blitzkrieg, be ready incase it really, really works. If you have a website, make sure the site can handle a huge flow of hits without crashing. If you design innovative headphones, be ready to ship out huge supplies if they get featured in Rolling Stone. Most likely, you won’t have 100,000 hits to your website right away, or 5,000 orders for your headphones in the first month of marketing, but if you do you won’t want to fail because you weren’t prepared for such instant success. This past Christmas, I planned to buy all of my gifts for family & friends in stores, on multiple Saturday and Sunday afternoons. I was excited to pick out all of the individual gifts in unique little stores, and then bring them home to wrap – getting satisfaction from doing it all myself, rather than staring at a computer screen and punching in my credit card number like a drone. I was stubborn and indignant on shopping myself –until I found myself 7 days from Christmas, with half my list left. Time was running out, Boston was cold and windy, and I acquiesced to using my MacBook. An hour later, I had effortlessly gone onto a few websites, clicked on a couple links, and Christmas shopping was done. As much as I fought it, online shopping is just more convenient, albeit somewhat less personal. Suddenly, you aren’t traveling across town in a blizzard, only to find out NikeTown, and every other store, is sold out of the basketball sneakers your nephew desperately needs. In an age where everything is available at any hour, from any location, why would you still take the time to go to a physical store? Ron Johnson, the man who created the sleek, modern Apple store, has a reason. He has taken over as CEO of JCPenney, the department store everyone has forgotten about, and is determined to get it back on your radar. He plans to turn shopping into an “experience” with a “Town Square” surrounded by 80-100 specialty shops, all within the department store. Plans for Johnson’s Town Square have yet to be unveiled, but may include everything from culinary demonstrations to haircuts. The 80-100 “stores within the store” will provide more of an “experience” for shoppers by training employees to be experts in a specific brand or item, instead of being general department store sales associates. The Martha Stewart boutique will be filled with employees who can offer advice on decorating for the holidays, or on which cooking pan will work best for the dish you’re making. As much as I can pretend otherwise, I could use some cooking advice from a live person, rather than a website. JCPenney is effectively bringing back a reason for consumers to get off of their laptops and back into a store. The department store will also be shedding its dowdy image by getting rid of all of the subpar in-house brands to make room for more trendy brands (think Versace for H&M or Cavalli for Target). JCP already has Sephora specialty shops in store, but now they will be joined by a new Nanette Lepore line, l’amour nanette lepore, and dozens of other stylish brands. With a new logo, completely revamped advertising strategy, and Ellen Degeneres signed as the spokes-model, this is no longer your Grandmother’s JCP. If Ron can pull it off, which I would bet on, you’ll be shopping in JCP before 2012 is over. Insider tip: JCP will be overhauling its current pricing strategy, where there is too much merchandise and everything is 75% off. To still find steals, shop on the first and third Fridays of the month, when JCP will have its best sales. Not coincidentally, it’s the same two days of the month when most of us receive our paychecks. Welcome! I'm Rachel and I live in Boston, MA. I study finance, data visualization, customer experience, marketing, digital strategy...and how they all interact. On the side I love art, cooking, and DIY home projects.